At People’s Church, we exist to help people: Know God, Grow In God, Discover Their Purpose, and Make A Difference. Relationship is where it all begins. At People’s Church, we believe God wants us to know Him personally. We believe following Christ is about a relationship and not about religion. When you begin a relationship with God, you start an amazing journey of living out your God-given purpose. We invite you to experience Jesus during our services every Sunday. Your faith journey has a next step. Let us help you discover it. We all want to go to the next level in our faith. But God did not design for us to get to the next level by ourselves. We need each other. At People’s Church, we believe you grow best by connecting with other Christ-followers on a consistent basis. We all need a small group of friends we can laugh with, cry with, pray with and grow with. Find a small group to help you on your spiritual journey. No matter who you are or where you’re from, you matter to God and He has a purpose for your life. We want to help you become the person God has created you to be. You can learn more in Growth Track, our 4-step process designed to help you discover and unlock the gifts God has placed inside you and get plugged into the family of God. We believe God has called you to make a difference. We are passionate about equipping people to serve our community, to build God’s church and to demonstrate God’s love to others. 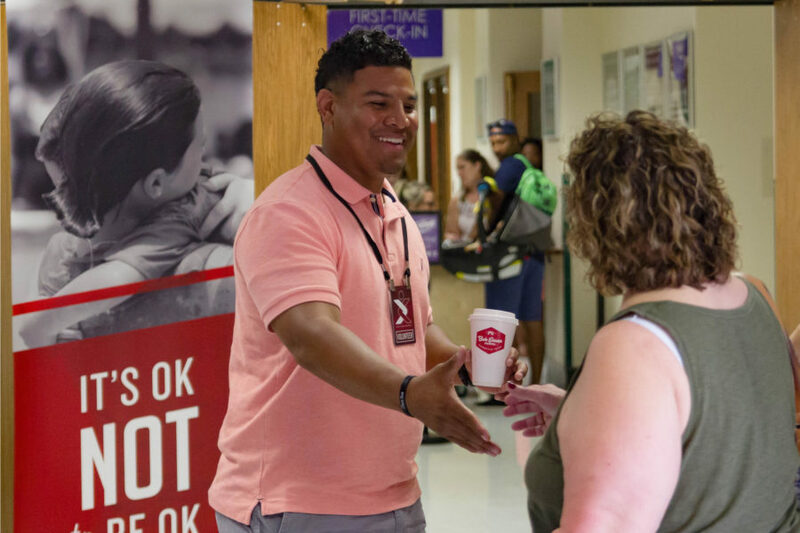 Whether it’s serving weekly at one of our People’s Church campuses, or serving in our city, nation or around the world, our heartbeat is to see God use you to meet people where they are and to show the of love of Jesus in tangible ways. God has created you to be a world changer. Join us as we make a difference in our world!